Once you’ve got that sparkler on, the mind starts to wander almost immediately to the big day. But before you get that far, there is one VERY important decision to make, who are you going to ask to be your bridesmaid(s)? It may be an obvious and easy call or it may require some thought. Either way once you decide who the gals’ are, the next question is… How will you ask them? I was living in Sydney when I was planning my wedding, which meant I, unfortunately, couldn’t ask my lovely ladies face to face, as much as I had wanted to. I debated over Skype, a phone call, an email? And eventually, after some research, I found these gorgeous personalised cards on Etsy, and I knew it was the right way to do it. I wanted to make a big deal of it. For me, well, it was a big deal!! You are asking your best friends, your sisters, your sister in law-to-be to take on a really big role and to play a huge part in your wedding day and let’s face it quite often it’s these poor ladies who help us deal with a lot of the stress and wind up being more councillors than bridesmaids!!! Here are some fun and unique ways to ask your ladies! Now you’ve asked them, it’s time for the dresses!!! We have a specific bridesmaids shopping service to help and your lovely bridesmaids find the perfect dresses for your big day. We will do all the research for you, whether you want to buy them, get them made, order online, buy highstreet or buy designer, we will cover it all. We can also book and attend all appointments with you, and act as your personal bridal stylist. So whether you need help on what shops you should visit, advice on where to look online or how to go about designing your own dresses….we can help! Email us on weddings@thestylefairy.ie to find out more or call us on 087 0606592. We bring you some top tips and inspiration to help you start the hunt for the perfect bridesmaid dresses! 1) COLOUR: After you have decided on and asked your lovely bridesmaids, the first thing you need to get clear in your mind is colour. The colour you decide to go with for the bridesmaids dress will end up largely dictacting your overall colour scheme, including reception decor and flowers. 2) SHAPE: Hunting for the perfect dresses for your bridesmaids, sometimes isn’t as easy as you may first think. The reality is everyone has a different body shape, so it means you have two options a) get different styles for each bridesmaid to show off their best features b) source a dress that is universally flattering to all. 3) STYLE: The best way to approach this is to be as open minded as possible, you may have always dreamt of your girls wearing a certain style – one shoulder, cocktail etc but when it comes to it, that style may not suit them, or they may not like it. 4) OPINIONS: My advice is take everyones opinion with a pinch of salt, EVERYONE has a different idea of what colur would work best or what suits them and what doesn’t. Sure, it’s great to get peoples thoughts but the person making the decision (and usually picking up the bill) is you, the bride. Follow your heart, stick to your gut and don’t allow yourself be pushed away from what you want. 5) SOMETHING DIFFERENT: Bridesmaid dresses are getting more and more fashion forward all the time, gone are the days when you cover your girls in ill fitting satin gowns, stack on some diamonte and send them out the door!! Today’s brides are much more fashion aware, and many of you soon-to-be brides will be eagar to have your own stamp on on the dresses or will want to incorporate fashion trends. Take Carrie from SATC and her bridesmaids in three different dress colours & styles – this idea is brilliant, and has really taken off in recent years. Other ways to be different is to have different styles for each maid, or another lovely option is to have different lengths, your maid of honor could go full length and the others could go cocktail or short. For an easy way of adding a touch of extra style and creativity, why not give them a really bright pair of shoes, to colour block against their dresses. 6) HIGHSTREET VS DESIGNER: There is no right answer here. What I will say is keep an open mind. You just never know where you will see the perfect dresses, it very well may be in a highstreet store like Monsoon, Coast or Topshop. You don’t necessarily have to go to ‘traditional’ bridesmaid shops to source the perfect dresses. 7) DESIGN YOUR OWN: The trend of designing your own dresses is becoming more and more popular. It is a really great way to ensure your girls have unique, one of a kind dresses and can be very cost effective too. 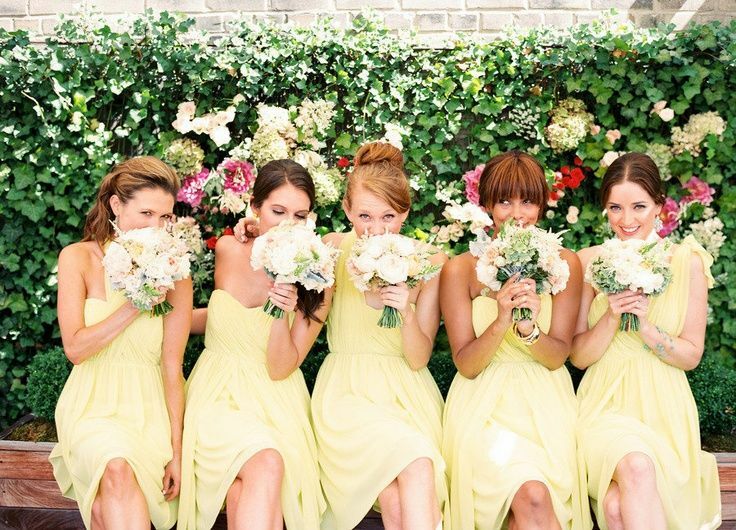 Need help searching for the perfect bridesmaid dresses? Let us do all the hard work for you with our Bridesmaid Shopping Service, we will do all the research for you, whether you want to buy them, get them made, order online, buy highstreet or buy designer, we will cover it all. When needed we book and attend all appointments with you, and act as your personal bridal stylist. 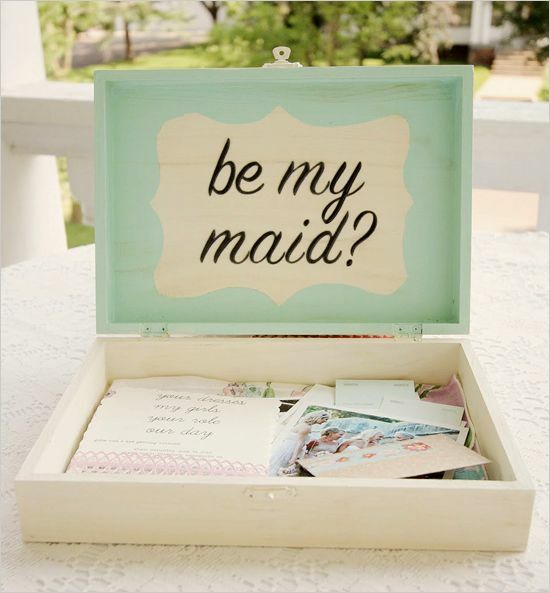 Email us on weddings@thestylefairy.ie to find out more or call us on 087 0606592.